محمدی, رضا. (1386). پلورالیسم و قرآن. انسان پژوهی دینی, 4(13), 49-77. رضا محمدی. "پلورالیسم و قرآن". انسان پژوهی دینی, 4, 13, 1386, 49-77. محمدی, رضا. (1386). 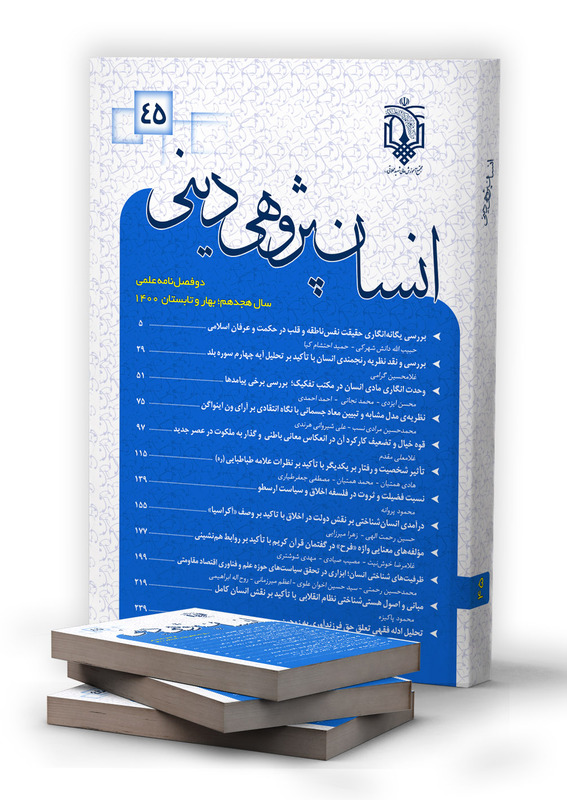 'پلورالیسم و قرآن', انسان پژوهی دینی, 4(13), pp. 49-77. محمدی, رضا. پلورالیسم و قرآن. انسان پژوهی دینی, 1386; 4(13): 49-77. Sometimes pluralism has been viewed to be religious. This theory is known an originally western one that has transferred to Muslim communities in the form of translation. As has been made clear in the paper, agreeing with theory would lead to mental and practical contradictions both; in the form of the sameness of being and not being in the former and ought to and ought not to in the latter. Practically viewed, however, in some cases it causes a kind of peaceful life. reason lies in the fact that the cases rlied on by pluralists do not signify their claims. Some verses facing pluralism include: 3:85, 20, 61; 2:19 and 9:33. finally, it should be stated that the verses used by pluralist such as 2:17 and 18; 5:69 and 39:18 do not support the idea in a straight way.